Wahooooo!!! Josh is home Josh is home!!! He's been training for work for the past 3 weeks, so I've been flying solo. Wow that's hard work! He had to pass numerous tests while he was at training and I've kept quiet about it because honestly I was a nervous wreck. It's pretty intimidating being a stay at home mom and your husband having to pass a test to keep his job. yeah. But he passed with honors #3 in his class (out of 46) and I couldn't be more proud of him! Absence makes the heart grow fonder and I was so ready to have him home! 1. 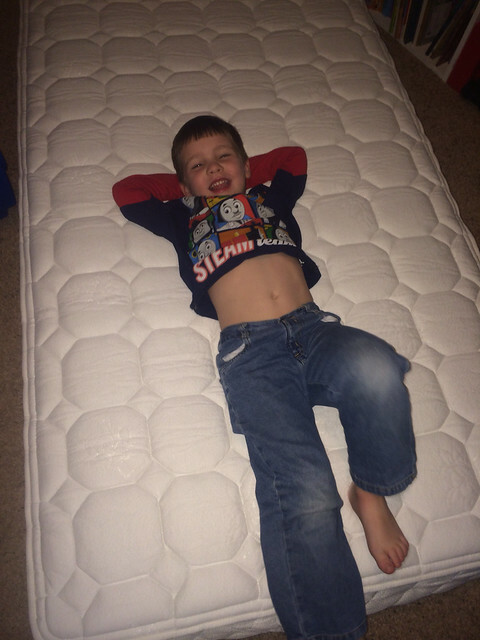 We were cautiously optimistic when we purchased a "mattress in a box" for little man. He told us he was done with his Thomas bed and wanted a big boy bed. Lucky for him we had my childhood bed in the basement closet. All we needed were a mattress and boxspring! He's been sleeping well (on the mattress on the floor) until Josh is able to help get his bed set up! By the way... anyone want a Thomas the Train toddler bed? 2. 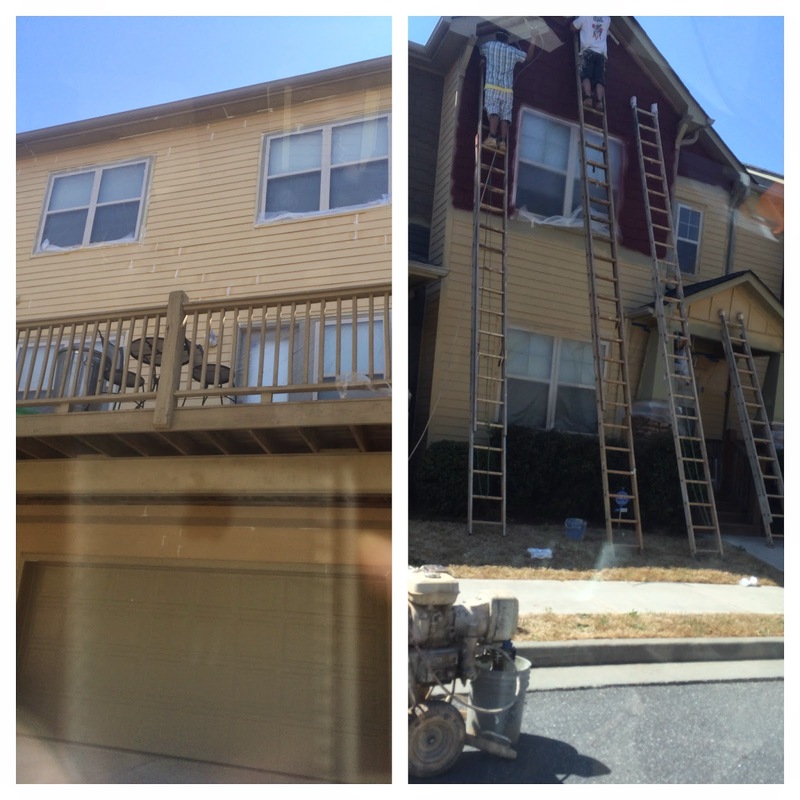 Our house was painted this week! Town home living is different (no yard work, don't have to worry about exterior work- siding, roof) but such a relief since we have our other house to maintain. When the painters showed up (at no extra cost to us) I gladly welcomed them (and the slight inconvenience of having our windows covered in plastic for a day or 2). 3. 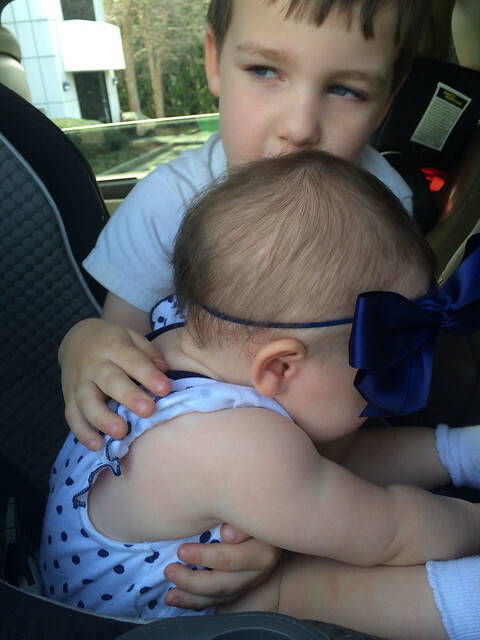 I caught this sweet moment- giving his sissy kisses. She sure does love her brother! And I couldn't help but post this one again. 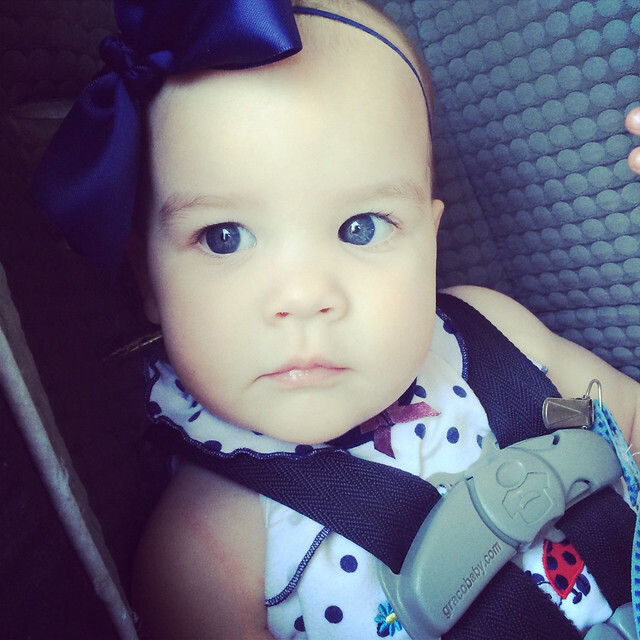 She is just precious. 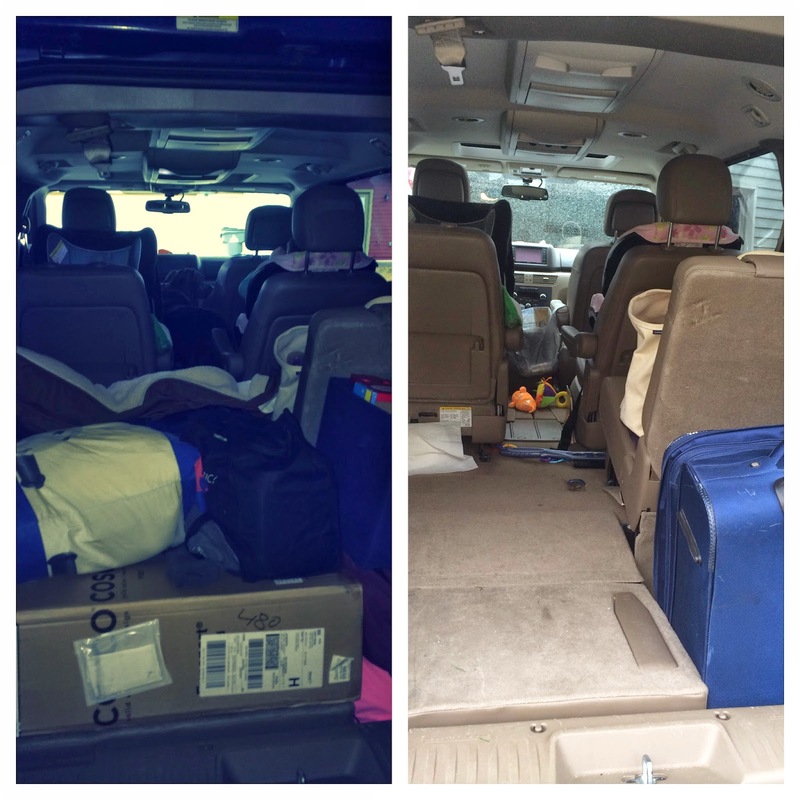 The first photo is before dropping the kids and dog off with my parents. The second picture is after. Man they require alot of stuff! 5. Probably the most exciting thing this week is that Luke asked Jesus into his heart!! We were in the car after Awana and he asked "Is Jesus God?" ummm mini theologian maybe? So we talked and he asked if Jesus prayed when he was on the cross. I told him yes and that we could read the story in the Bible when we got home. After a fairly long conversation I asked him if he wanted to ask Jesus into his heart. He said "Maybe when I'm older. I don't think I can do that now." I told him that of course he could. He said maybe tomorrow. I told him "how about tonight?" And he agreed. We prayed as I was tucking him in to bed. It was the sweetest thing ever.